The focus in Chinese Medicine is to restore healthy movement of energy or Qi. The practitioner will assess through questioning, observation and palpation where the movement of Qi is obstructed or impeded. Treatment is focused on removing blockages, expelling pathogens, and restoring the flow of Qi or vital force, thereby supporting the body’s inherent ability to heal itself. Acupuncture is a key tool in facilitating the flow of Qi and supporting healthy balance in the body. The acupuncture practitioner uses small, sterile, disposable needles. They also use techniques such as cupping and moxibustion to affect or improve Qi flow in the body. They can use acupressure instead of acupuncture for patients who are concerned about needles. Talk with your practitioner before your first treatment and be sure you are comfortable with the proposed techniques to be used. Generally, once people have had a good acupuncture treatment, they look forward to receiving acupuncture again. Some wise patients make a regular habit of receiving a Chinese Medicine assessment and treatment protocol monthly or seasonally for health support and to improve long term stress tolerance. 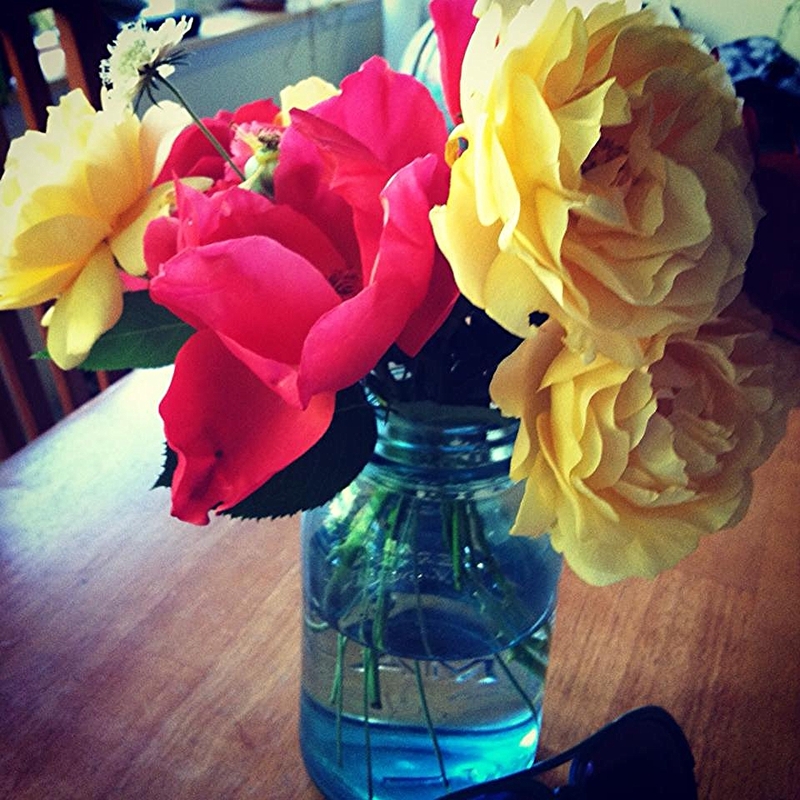 Flowers from the garden. Larkin's jar.